Singer Rob Rock is known in the metal community for his works with M.A.R.S., Driver, Joshua and Impellitteri as well as a solo artist. And now he presents another live album recorded Sept. 27th 2008 in Atlanta at ProgPower US IX - they also filmed that show, so you will also get a DVD of this event. The 11 songs show the range of this extraordinary singer. They open up with the title track of the last studio album Garden Of Chaos. And it's no surprise that some songs found their way into the set list. But if you take a look at the track list, you'll also find some older tunes. If you've seen Rob Rock and his band live before, then it won't be a surprise that they deliver a tight performance and due to the great sound it's pure fun to listen to The Voice Of Melodic Metal - Live In Atlanta. After some fast melodic tunes they ease off a bit for the mid-paced In The Night, but then they speed up again for the heavy Slayer Of Souls. But a real highlight is Judgment Day with it's catchy refrain - and you can hear the audience joining in. And with the last tune I'm A Warrior Rob Rock delivered the song everybody was waiting for. This song is Rob Rock! Kudos! 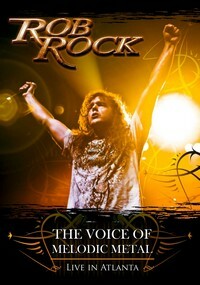 Fans of Rob Rock will get the CD anyway, but you should consider to get the DVD, coz his live performance is just great! And every fan of melodic metal should check this one out! For many it was a shock that Rob Rock left Impellitteri to do a solo album, but it seems that for Rob Rock it was a good decision. 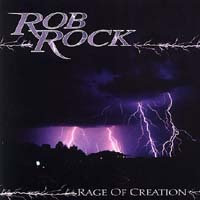 Rob offers fast melodic metal which lyrically is close to Christian metal. After the intro Rob rock starts with The Sun Will Rise Again which is a catchy tune. Judgement Day is a mid-tempo track with a heavy groove and a sing-along chorus. After a few more rockers Rob finish the album with the ballad Forever. Well done!